Shanghai Metro will join hands with Alibaba and Ant Financial to develop cutting-edge technologies to improve the Metro's service. An Alibaba employee studies a facial recognition screen at Shanghai Metro’s headquarters. The machine, used on turnstiles, allows passengers to dispense with the need for a ticket. Shanghai Metro will join hands with Alibaba and Ant Financial to develop cutting-edge technologies to improve the Metro’s service. The Shanghai Metro yesterday signed a strategic cooperation agreement with the two companies. Some of the technologies were displayed at the headquarters of the Metro yesterday. However, the public will have to wait to use these technologies in the Metro stations. One of the technologies was the voice control ticket dispenser. Passengers can simply inform the machine where they want to go by talking to the machine within a distance of 1 meter. The machine will then provide navigation advice and issue the tickets. This reporter said “Shanghai United Media Group Tower” in Chinese to the machine, but it did not respond. Then I said “755 Weihai Road,” the address of the building, and the machine gave the right direction. “We are now able to capture the voice of the passenger despite all the noise in the station,” said Tian Biao, a voice control engineer from Alibaba. Tian said the voice control dispenser currently did not recognize English or other foreign languages, but it would be easy to equip it with a foreign language system. “We haven’t done so because the market demand for foreign languages is not big,” said Tian. Another new technology is facial recognition used on turnstiles. Passengers who registered for the facial recognition system can walk through the turnstile without a ticket. The technology will be used to ease the travel of passengers who use the Metro for free — such as people aged 70 and older, disabled veterans, dependents of martyrs and children shorter than 120 centimeters. 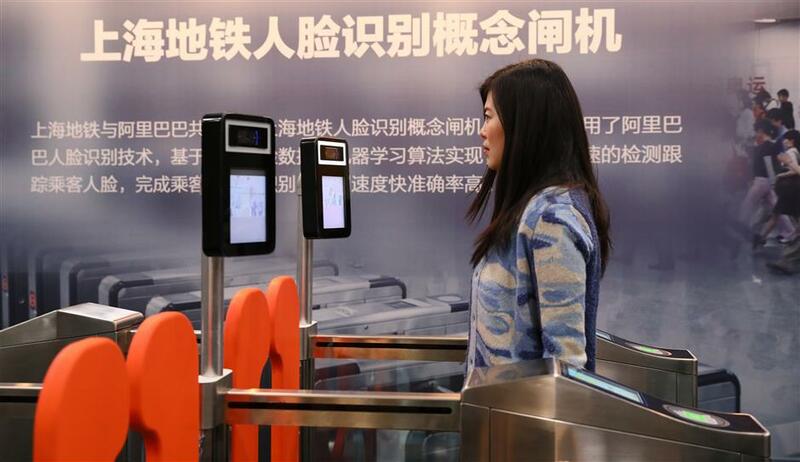 “With valid documentation, passengers can register for the facial recognition system at the information desk of the station,” said Huang Ying, one of the engineers who developed the system. Huang said there were no plans to connect the facial recognition system with payment methods. “For the time being we are considering providing convenience to those who are in need the most,” Huang said. 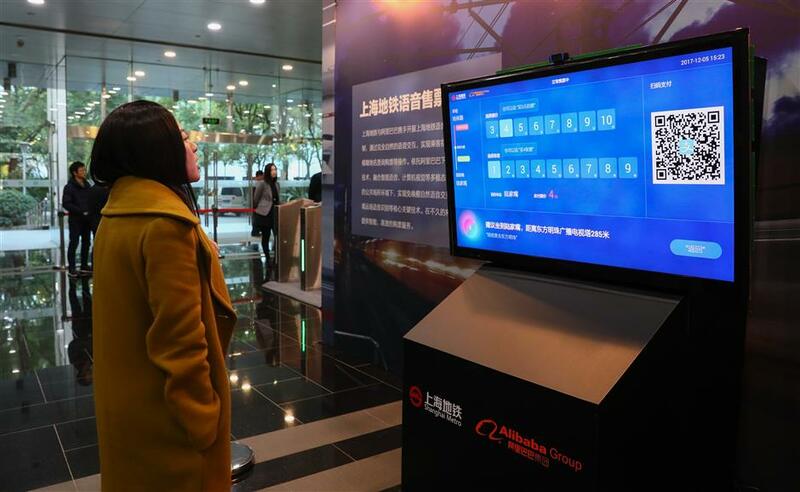 Alibaba also developed a passenger volume monitoring platform that not only monitors and identifies the face of passengers, it also predicts the passenger volume in the next 5 minutes based on its Ali cloud system. “Although the technologies are mature enough to put into service, there are a lot of details that we need to sort out with the Metro,” said Ren Zhitao, brand specialist of Ali Cloud. A woman learns about a voice control ticket dispenser.